Y'all. 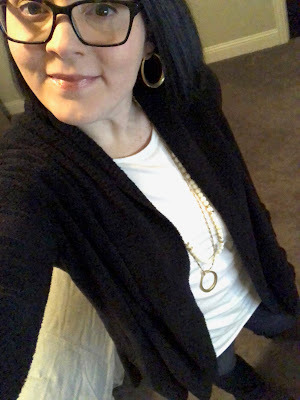 I have been wearing the heck out of the items in this latest style launch from Stella & Dot. OMG. So swoonworthy. For this week's post, I am going to show the things that I have had on repeat - I can't stop wearing them. This poncho arrived last week and I am in love. Easy to wear - you can wear it as a shrug, as a one shoulder, an off the shoulder, or just as a boatneck. 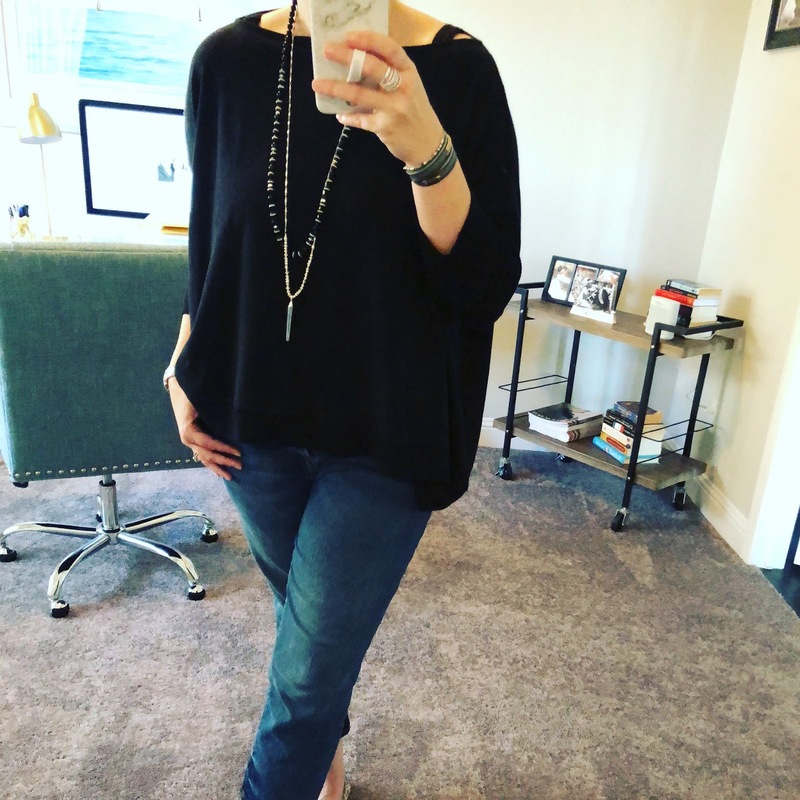 Drapey, comfy, and soft, it pairs easily with jeans and a fun statement necklace. I thought the Rayna would look great with it, and I wasn't wrong. I also added the Yves wrap braceley, Orbital ring, and Hammered hoops to complete the look. I love the Rayna because it's a 3-in-1 - wear them together or each on their own! 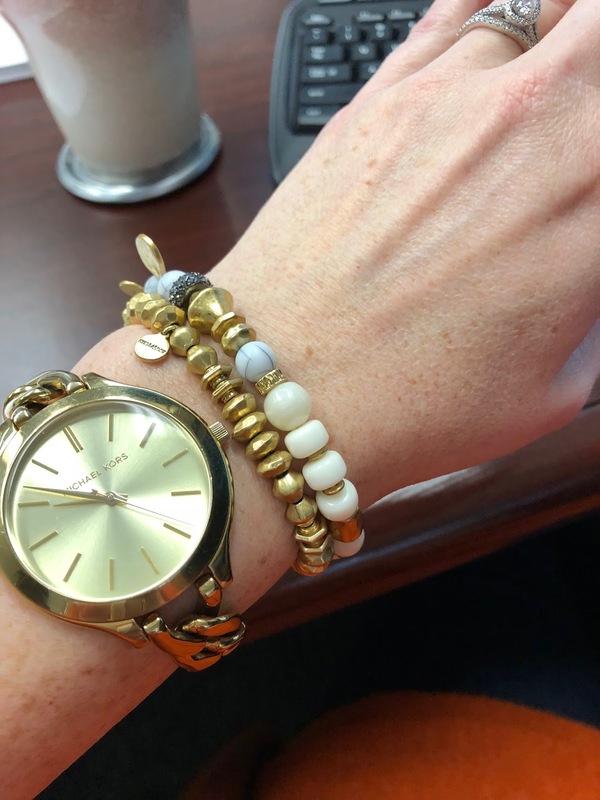 I wore this bracelet combo THREE times this week. And I am generally not a bracelet person. Super easy to wear. I wore it to work three days in a row. I just love it. Like the Rayna, the Natia is a 3-in-1, you can wear it all together or each separately. And the Georgia hoops. I have gotten so many complements on these. They are a pretty simple hoop, but are front facing which adds a bit of interest. They're also the prettiest burnished gold color. 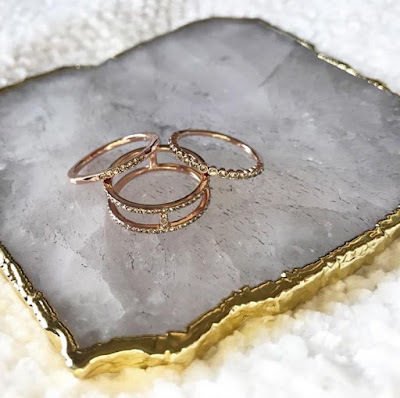 Oh I love Rose Gold jewelry, don't you? I think these rings are my favorite rings that Stella & Dot has launched recently. I love the look of a delicate ring, but I've only had my Claudia Stackables and my Gwen to work with. Those are my favorites from the new collection. I have them on repeat all. the time. What are you loving? Sound off in the comments!